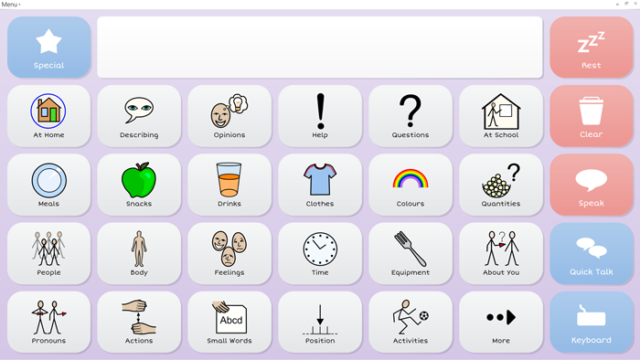 Symbol communication in Grid 3 enables you to use symbols to represent words and phrases for choosing what you want to say. A wide range of ready-made grid sets are available as soon as you power up your device, so you can get started straight away! The grid sets in Grid 3 have varying levels of literacy and access, so you can choose the right sources for the user. 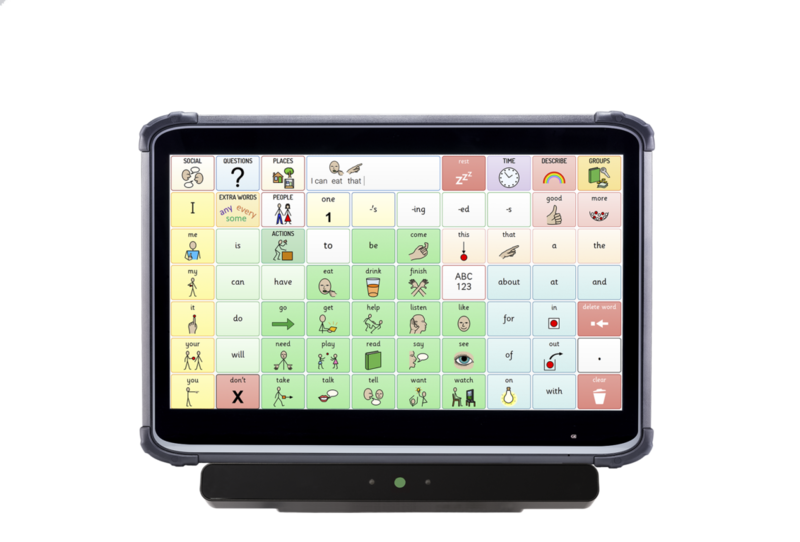 The Symbol Talker grid sets provide a pathway of learning that takes you from early AAC right through to literacy. Resources begin with topic based vocabulary where words are organised for easy sentence building and navigation. More advanced grid sets are built on the core vocabulary we use most in everyday conversation. 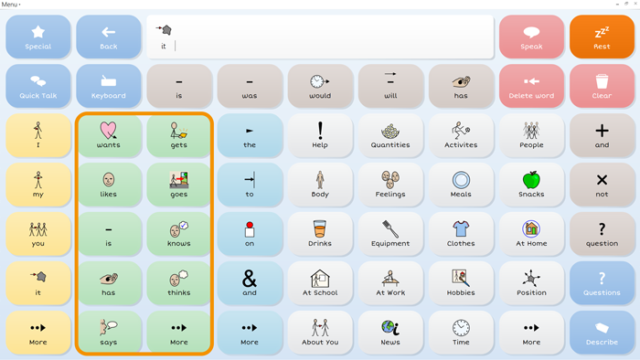 You will also notice that there are more cells included in each grid – introducing a larger vocabulary and more choices. Clever tools in all of the grid sets empower you to say what you want more quickly and more accurately than ever before. The smart grammar feature changes verb cells in your grid intelligently as you write. In this example you can see that the verb ‘want’ has changed to ‘wants’ because we selected ‘it’. Editing your grid sets is also quick and easy. 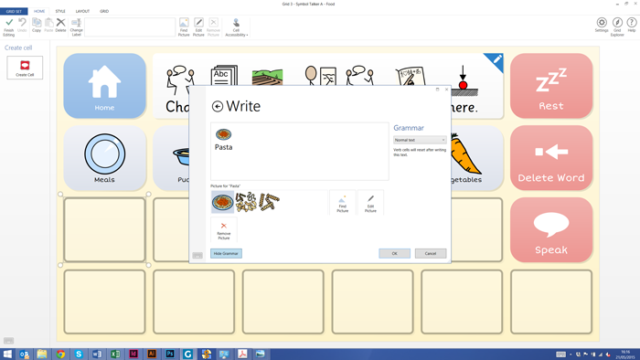 Using the intuitive editing interface you can add new vocabulary, change symbols or create new grids with only a few clicks. Symbol Talker A, B, C and D, Beeline and Vocabulary for Life are packed in with Grid 3. The PODD grid sets are also available separately. Find out more about the Symbol Talker A, B, C and D grid sets included with Grid 3. Find out about the Beeline grid sets included with Grid 3. WordPower 100 is a symbol based vocabulary for Grid 3 that is designed to provide the most efficient way to say exactly what you want. 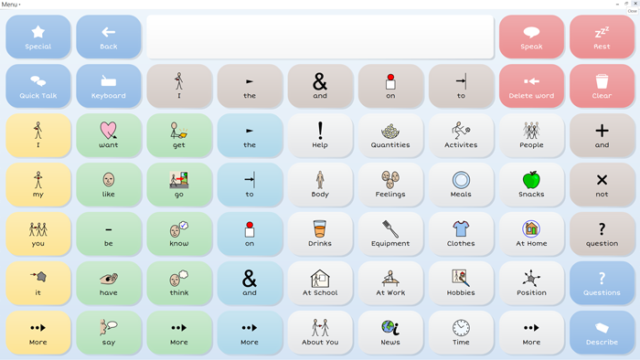 All of our symbol communication grid sets are underpinned by 15 years of experience working with speech and language therapists, AAC specialists and by collaborating with recognised experts in symbol communication. Grid 3 ready-made grid sets are compatible with a variety of different symbol libraries, including the popular Widgit Literacy Symbols and PCS.